In a recent study published in the journal Nature Genetics, UNSW Sydney-led researchers have used CRISPR-gene editing to introduce beneficial natural mutations into blood cells to boost their production of foetal haemoglobin. This study solves a 50-year-old mystery about how these mutations operate and alter the expression of human genes. Naturally carried by a small percentage of people, these mutations contribute to blood disorders such as sickle cell anaemia. 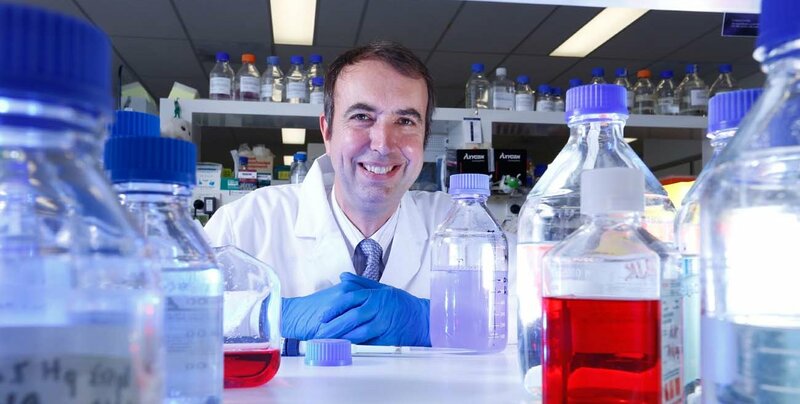 “Our new approach can be seen as a forerunner to ‘organic gene therapy’ for a range of common inherited blood disorders including beta thalassaemia and sickle cell anaemia,” says Professor Merlin Crossley, leader of the study and UNSW Deputy Vice-Chancellor Academic. In sickle cell anaemia (thalassaemia), there aren’t enough healthy red blood cells to carry adequate oxygen throughout one’s body. In a healthy person’s blood, the red blood cells are flexible and round, moving swiftly and easily through the blood vessels. With sickle cell anaemia however, the red blood cells are shaped like sickles of crescent moons. They become rigid and sticky, and can get stuck in small blood vessels. This can slow or block blood flow and oxygen to parts of the body. 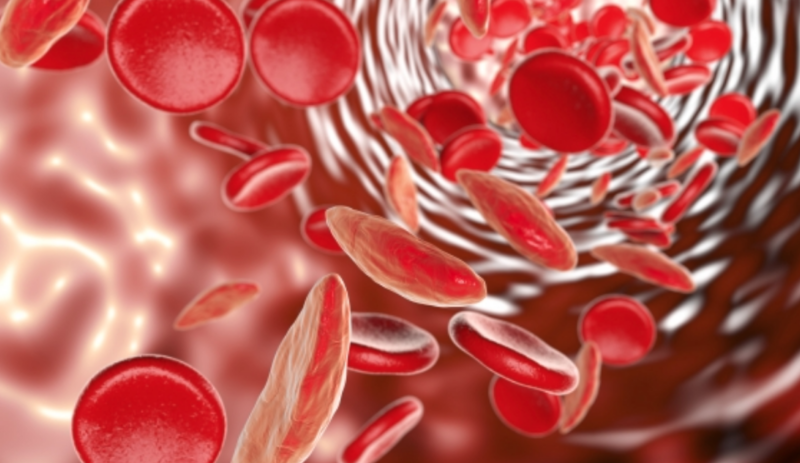 Essentially, people with sickle cell anaemia have defective adult haemoglobin – the vital molecule that picks up oxygen in the lungs and transports it around the body. People with this condition require life-long treatment with blood transfusions and medications. Some people with these diseases however have reduced symptoms because they also carry mutations which switch on the gene that produces foetal haemoglobin, which compensates for their damaged adult haemoglobin. Three of Professor Crossley’s PhD students spearheaded the study over a period of five years. Study co-first author and UNSW PhD student Gabriella Martyn discovered that BCL11A, which was already known to switch off the foetal haemoglobin gene, binds directly to it. The second repressor gene, ZBTB7A, was identified by study co-first author, Dr Beeke Wienert, now working in the department of one of the creators of CRISPR, and Professor Jennifer Doudna of the University of California, Berkeley. Then, Lu Yang, a UNSW PhD student supported by a China Council Scholarship, devised a new method that allowed the visualisation of proteins binding to the foetal haemoglobin gene for the first time. 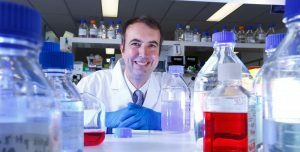 Finally, Dr Alister Funnell, a former post-doctoral researcher at UNSW, who initiated the project, is now a successful team leader working on gene editing at the Altius Institute for Biomedical Sciences in Seattle. Other members of the group included Japanese researchers Ryo Kurita and Dr Yukio Nakamura and experts on bioinformatics, Manan Shah and Dr Jon Burdach UNSW Scientia Fellow Dr Kate Quinlan helped lead the project. The studies relied on the cutting-edge expertise of the Ramaciotti Centre for Genomics at UNSW. UNSW Sydney scientist Professor Merlin Crossley. Sickle cell anaemia and beta thalassemia are the most common single-gene genetic disorders in the world. Millions of people the world over are affected, causing enormous stress to the health systems. Sickle cell anaemia is highly prevalent in regions where malaria was present, now or in the past, such as South East Asia, southern China and India, South America, Africa, the Mediterranean and the Middle East. But these conditions are also found in other countries, such as Australia and the United States, due to migrations of populations over time. Nobel Laureate Linus Pauling was the first to determine that sickle cell disease was due to a change in an amino acid in a protein, and Dual Nobel Laureate Fred Sanger was involved in identifying the genetic mutation causing the condition. Max Perutz, another Nobel Laureate determined the structure of the haemoglobin protein, while Francis Collins, who led the Human Genome Project, first described some of the mutations analysed in the current work, more than four decades ago.